The Kimberton Clinic, founded in 1994, is a medical/therapeutic facility in a stone barn on ten acres of open land with a large pond and beautiful grounds. It stands at the outskirts of the historic village of Kimberton Pennsylvania, a community with rich Quaker roots, and once an important station on the Underground Railroad. Kimberton is the home of numerous social, educational and agricultural initiatives, including Kimberton Waldorf School, the second oldest Waldorf school in America, Camphill Village, a 500 acre community which works with individuals with developmental disabilities according to the ideals of Anthroposophy and sustainability, Kimberton Whole Foods, a locally owned whole food market, Seven Stars Farm, which produces nationally-distributed Seven Stars Yoghurt, two biodynamic CSAs (Community Supported Agriculture farms), and many other activities. The Kimberton Clinic is a full-service family medical practice, with an emphasis on holistic and sustainable medicine. In addition to physician services, we also have connections with other therapeutic modalities, including physical, art, music, and eurythmy (movement) therapy, massage and counseling. 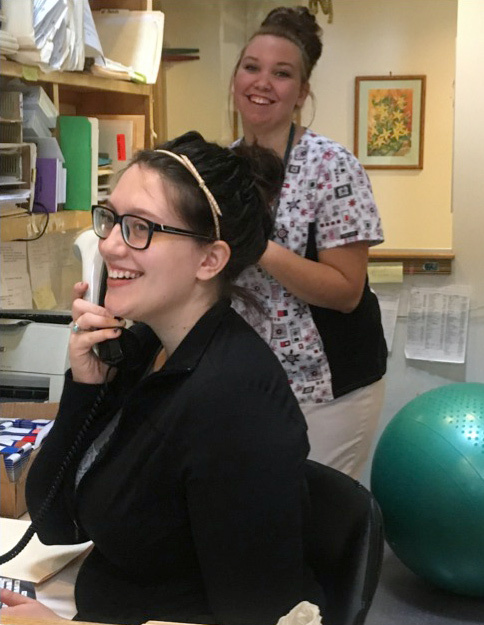 At the Kimberton Clinic, we see a wide spectrum of patients, including acute and chronic illness, health-maintenance and wellness consultations, and children and adults with mental health and developmental issues. We use conventional medications, as well as herbal, homeopathic and Anthroposophic remedies, depending on what is appropriate in each situation. While all up-to-date diagnostic services are utilized (CT, MRI, laboratory test etc.) they are ordered with careful consideration, and not as a shortcut for thoughtful history-taking, physical examination and doctor-patient conversation. Thus, medical and therapeutic care is individualized, the opposite of a “cookbook” or “drug of choice” mentality. Our striving is to do the right thing at the right time for each patient.